A Blue Jays team spokesperson confirmed Saturday that Toronto had fired hitting coach Brook Jacoby and first base coach Tim Leiper, one week after the major league club made Charlie Montoyo the 13th manager in franchise history. The Toronto Blue Jays have made more changes to their coaching staff a week after hiring a new manager. 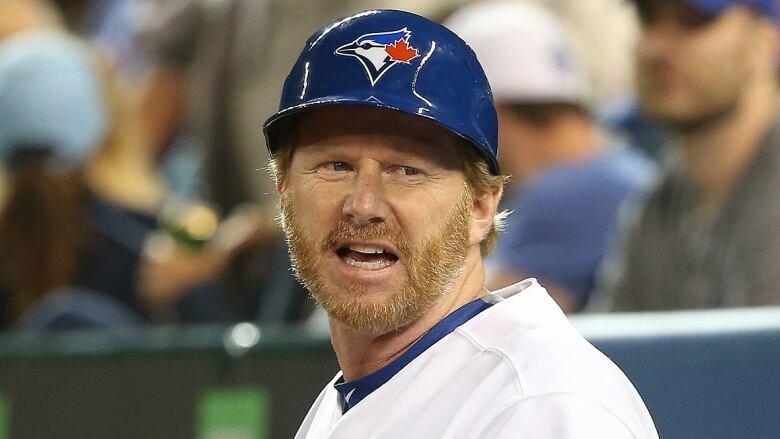 A team spokesperson confirmed Saturday that Toronto had fired hitting coach Brook Jacoby and first base coach Tim Leiper. The moves come one week after Toronto hired Charlie Montoyo as the 13th manager in franchise history. Watch: Who is new Jays manager Charlie Montoyo? Montoyo was introduced as the team's manager earlier in the week. The former Tampa Bay Rays bench coach said in his introductory press conference that putting a coaching staff in place would be his first order of business. "I'm looking forward to teaching and helping younger players get better," said the bilingual Montoyo, a married father of two sons. "That's why finding the right coaching staff will be important. That's the No. 1 goal." Toronto bench coach Demarlo Hale, pitching coach Pete Walker and third-base coach Luis Rivera have one year remaining on their contracts. Jacoby, 58, spent the last four seasons as the Blue Jays hitting coach while Leiper, 52, was hired as the team's first base coach in 2014. Leiper, a native of Whittier, Calif., also has ties to Canada's national baseball team. He was on the coaching staff of the 2004 Summer Olympic team in Athens and served as a coach on each of Canada's four World Baseball Classic teams.